You will be charged $39 for the Amazing Stockpiling Challenge. There will be NO other charges. a food crisis could kill millions of americans. are we on the verge of it? Hi, my name is Dan Sullivan and I’m here to warn you: This could be the devastating disaster scenario that awaits you: a food crisis like no other, with dozens of millions of people begging for a loaf of bread... and you having to reject life-long friends asking for help... looking your kid in the eye, telling him to eat less... lying awake at night, counting the days until you’ll be forced to put your life at risk and go outside, looking for something to feed them. Here’s the thing: no matter which disaster strikes... whether it’s an EMP, Martial Law or an economic collapse, you need food in order to survive. And plenty of it. Looking back in history at what happened after some of the biggest events humanity had to face, they all lasted YEARS before things went back to some sort of normal. When food is lacking, society breaks loose... and the next gobal war might not be fought for gold or any other riches... but for basic human resources: food, clean water and medicine. In times like these, people will be capable of anything for a loaf of bread. 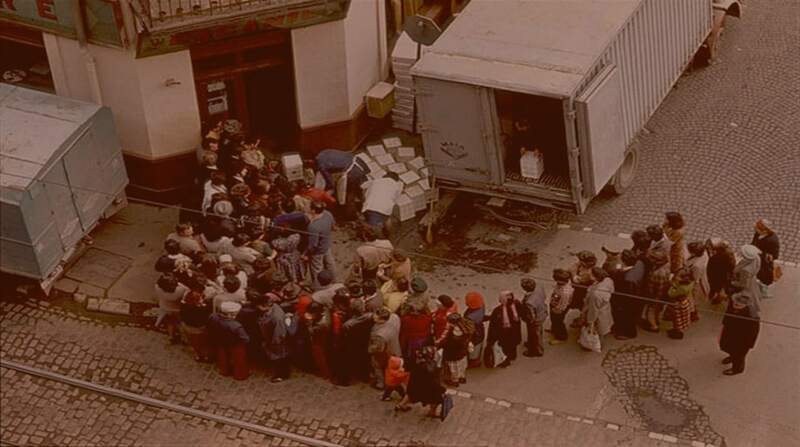 And we’ve seen it during the biggest bug out in recent history, when hundreds of thousands of “Syrian refugees” (which were neither Syrian nor refugees6) left their women and children behind to force their way kicking and screaming into Germany for the sole purpose of getting free food, free money and free benefits. So what’s the recipe for “getting lucky” in the coming catastrophe? You need a stockpile... Food, clean water, medicine, clothes, self-defense gear, tools to fix your home or work your garden, comfort foods to keep your spirits up and extra supplies to barter with. If you want to do something right you have to do it yourself to make sure there are no surprises when you open up those Mylar bags. All you need is a guide, someone who can break down the entire process of stockpiling for you in easy-to-follow A-to-Z instructions that make everything easy. This plan is the mother of all survival plans that I’ve refined for the past year until I made it perfect. It’s made of tiny steps you can follow to build the perfect stockpile of healthy, delicious and nutritious food, plus water, meds and other emergency supplies. All you need to start is 20 minutes / day and $20 per week to build the biggest, largest stockpile you’ve ever seen. After a year of bleeding through my eyeballs, I give you my latest creation, The Amazing Stockpiling Challenge. It’s a one-of-a-kind program that challenges you to create a robust one year supply of emergency food, water, guns, ammo, tools and gear in as little as a few months, for pennies on the dollar... all of this without feeling it on your family budget. ● Where to store your supplies to increase their shelf life up to 30 years. If you store your food in the wrong place such as your attic, it will spoil. 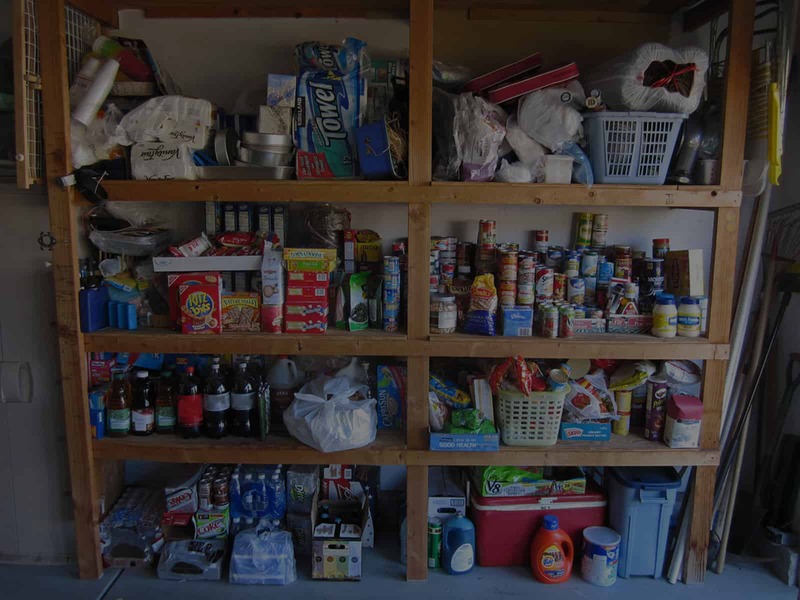 ● How to fight the 5 food storage enemies: light, humidity, temperature, oxygen and pests. There are simple things you can do to keep each of them off your stash. If you don’t, you might wake up with algae and bacteria inside your water, moths inside your food or even with all of it eaten by mice and critters. ● The most common mistake people make with meds is storing them in the bathroom. Humidity will compromise their shelf life and screw up your long-term plans. I’ll share with you the very best places to keep them. ● I will show you how to assemble not one but several First Aid Kits to have with you at all times like guardian angels. This will save you at least 50% and they will have more stuff than any kit available on the market today. ● I’m gonna let you in on some unique supplies that will be almost impossible to procure or manufacture post-collapse. These particular items are going to become extinct unless you hoard them today. 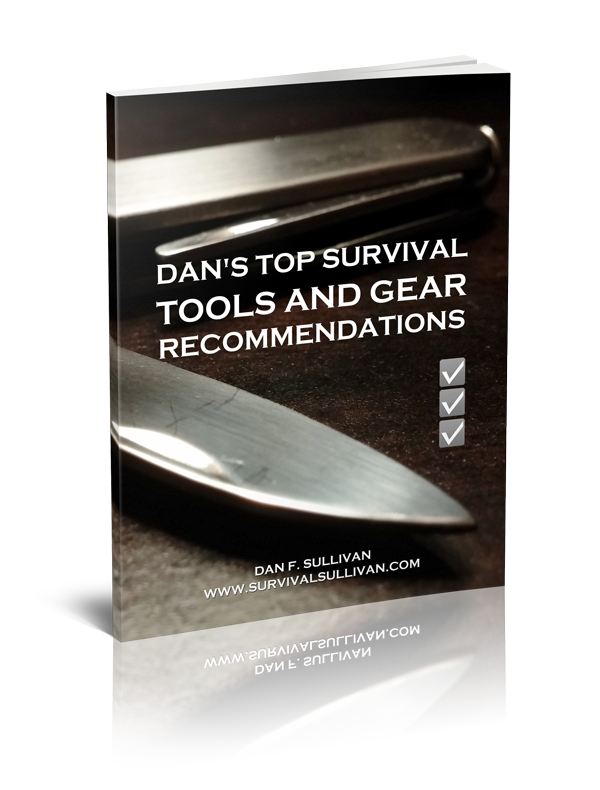 ● My “secret” list of tools and gear to stockpile today for pennies on the dollar. Forget high-tech compasses or a fancy survival knifes because when you bug in, you need to store a completely different set of items that have little to do with bushcraft. ● How to harvest and store an unlimited amount of FREE (yes, I said “free”) water. Plus, I’ll show you how to hook up this “secret spring” to your pipes right now to cut your water bill in half starting today... I assure you this is something even a 12 year old can put together. ● Speaking of which, I’m gonna show you the right way to store water… because any prepper’s nightmare is to wake up with algae and bacteria inside right when their family’s dying of thirst. Hint: if right now you’re using milk jugs or juice bottles to store yours, I urge you to throw them all away before anyone gets sick. ● Last but not least, I’m gonna show you... How to correctly rotate and maintain your food stockpile so you don’t wake up with a spoiled pantry post-collapse. 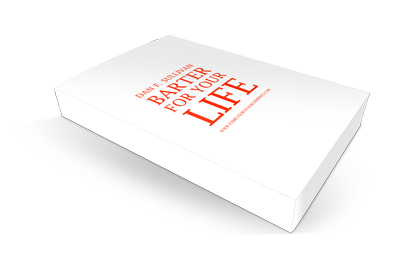 Bonus #1 is called Barter for Your Life and helps you get just about anything your little heart desires post-collapse by learning to use your stockpile as currency. You need to be a good negotiator regardless of what happens to the dollar. Your big stockpile is going to put you in an undeniable position of power and you’ll end up getting the sweetest deals every time because of all the extra stuff you’ll be able to spare. Bonus #2? 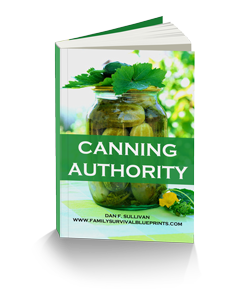 Canning Authority. It’s no secret canning is one of the easiest ways to store healthy, organic food for the long term. This is something even non-preppers do all the time. There’s only one problem with it, though... if you don’t do it right, with some foods you can catch a horrible disease called Botulism that will be almost impossible to treat in a post-collapse world without access to doctors, a hospital and medical gear. Don’t worry, though. If you follow the canning recipes to the letter, nothing like this should ever happen. The name of Bonus #3 says it all: 26 Delicious Mouthwatering Survival Food Recipes. They are easy to make, quick and delicious. They’re so good, you’re gonna want to incorporate them into your family’s diet today. Bonus #4 is also the most practical. 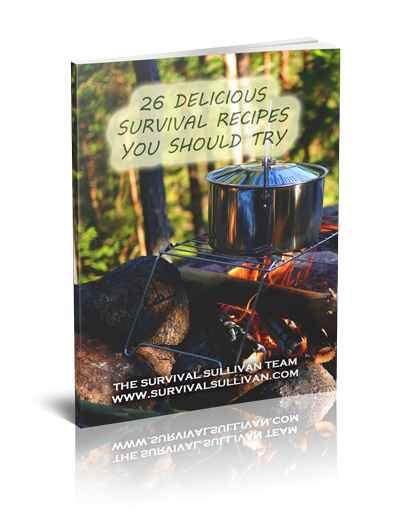 It’s a list of lists of all the tools and gear you can buy, from survival knives and cooking utensils to Mylar bags and buckets. You’ll get nothing but the best of the best, so you don’t have to spend dozens of hours of research browsing the Internet and asking on forums or friends what to buy. 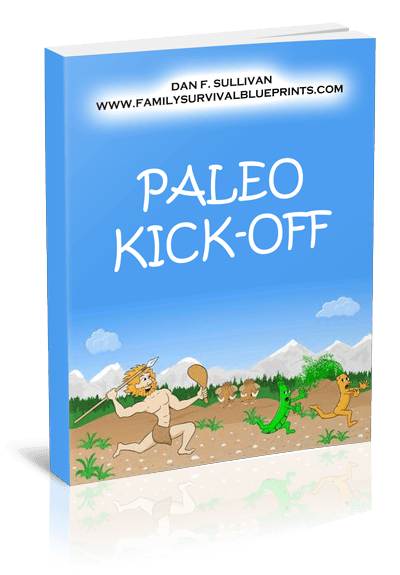 Last but not least, there’s bonus #5: Paleo Kick-Off, which I also like to call “the survival diet”. It is made exclusively of foods that our ancestors ate for hundreds of thousands of years, foods that your body is used to processing but the really amazing part is that many of them are the exact same ones you need to stockpile! Pricing the Amazing Stockpile Challenge was tricky. On the one hand, I want everyone to start a stockpile as soon as possible because there’s just no telling how much time we have left. On the other, this is a challenge and a commitment on your part, meaning once you’re in, you have to stick to it. Sometimes, folks are more motivated to stick to something when they invest a little bit of money into it. I wanted to price it below the hundred dollar mark so I decided to settle for less than what a 48-hour pre-packaged emergency kit would cost you: only $39! This is an absolute bargain if we keep in mind my course can help you save at least $10,000 on a one year stockpile. FTC Legal Disclaimer: Results may vary. The results presented in this presentation are NOT typical. For it to work, "Run, Prepper Run!" assumes you actually APPLY the things explained in the system, otherwise the method will not work for you. Dan F. Sullivan is a pen name, it is not the real name of the author of this course.